Effective means of transport are essential for any NGO that works in rural areas since it enables staff daily contact with beneficiary groups and individual farmers. Trax field staff uses motorbikes to visit beneficiary farmers and schools. However, one of the motorbikes experienced frequent breakdown due to wear and tear and thereby hindered the progress of field work. Our Field Officer, Thomas Banyimekatana, who is in-charge of the Nanyiar project zone in the Bunkpurugu/Yuyoo district of Northern region, often had to push his motorbike from a village which is several kilometres away from the office because it wouldn’t spark. 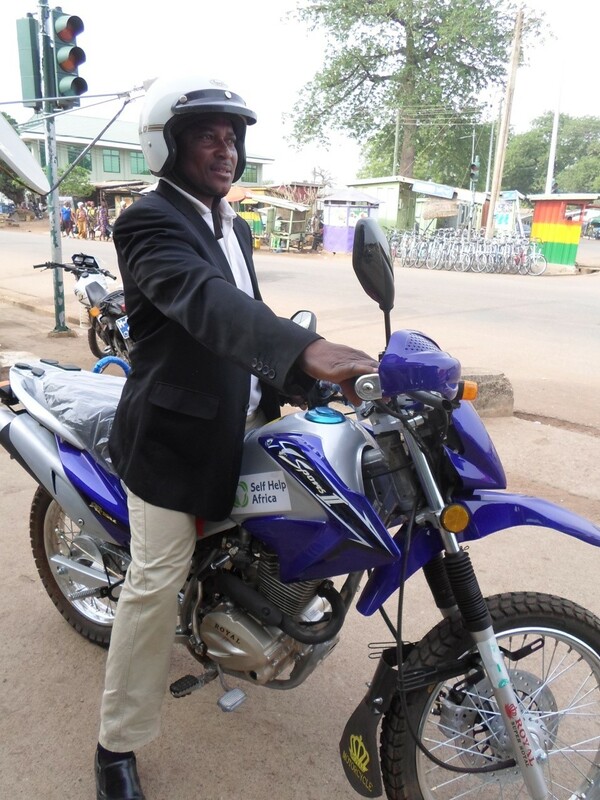 Fortunately Self Help Africa came to his aid and supported Trax with a brand new motorbike. Thomas has already started using the motorbike for his field visits. This entry was posted in sustainable agriculture and tagged motorbike, Self Help Africa. Bookmark the permalink.